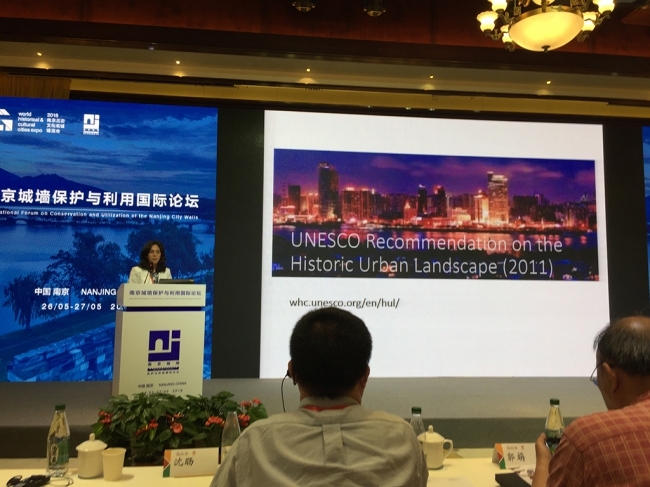 Ms. Marie-Noël Tournoux, Project Director WHITRAP, advocated heritage as an asset for sustainable development at Nanjing International Forum on Conservation and Utilization of the Nanjing City Wall during the "World Historical & Cultural Cities Expo" (25-27 May 2018, Nanjing) in line with UNESCO’s Historic Urban Landscape Recommendation (HUL) and to promote a new way of considering heritage, of learning from heritage, and to build a new development culture. The China State Administration of Cultural Heritage (SACH), Jiangsu Provincial Administration of Cultural Heritage, and Nanjing Municipal People’s Government organized the forum in Nanjing Yuejiang Tower Conference Centre, within the Eight Nanjing World Historical & Cultural Cities Expo, focusing on city-to-city partnerships. 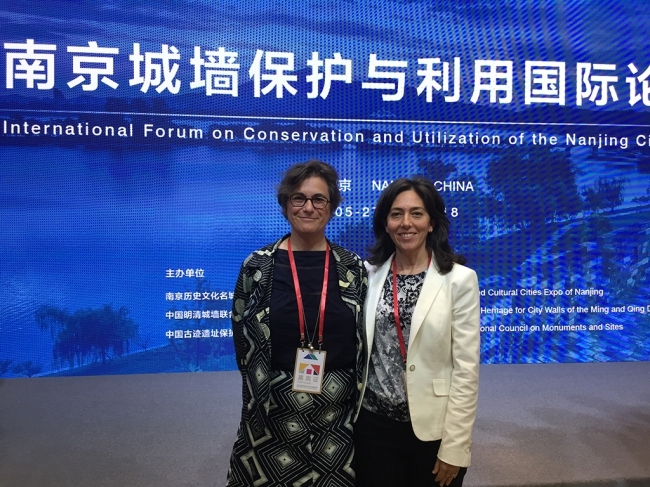 The Forum convened more than 20 national and international experts, amongst which Ms Yonca Erkan, HUL Coordinator/World Heritage Cities Programme, UNESCO. Nanjing is famous for its historic role as a capital city of the early Ming Dynasty and for its city wall, one of the most ancient city wall still standing in the world. Together with other Chinese cities, Nanjing is aiming to submit a serial nomination "City Walls Built During Ming and Qing Dynasties" for inscription on the World Heritage List. In this context, the Forum discussed and promoted city wall preservation and utilization, and explored ways to link heritage conservation and sustainable development for historic cities. The Forum served also as an international platform for sharing worldwide experiences and lessons learned.